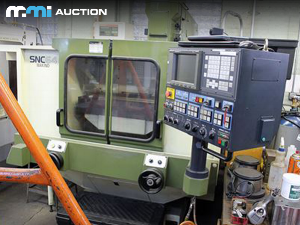 MMI to Auction CNC Machinery, CNC lathes, grinders, EDMs, tooling and more online. Auction closes July 18, 2018. Register to bid at http://www.mmi-auction.com. 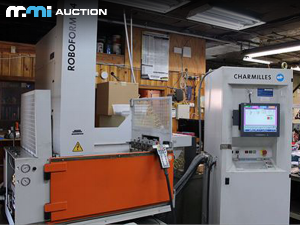 MMI Auction, a division of Machinery Marketing International was chosen to facilitate this single facility machine shop auction following closure. Based out of Chicago Illinois, but operating globally, MMI buys and sells used industrial machinery online, both from their own inventory and on behalf of independent sellers. MMI offers a comprehensive online platform for buyers as well as direct equipment purchasing, online auctions, trade-ins, and managed sales for sellers, all bolstered by fully staffed and integrated sales, logistics, and marketing teams. 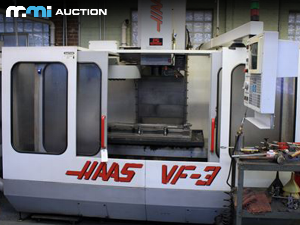 The auction consists of over a dozen CNC machines, such as mills, machining centers, and EDMs, many from top brands like Haas, Makino, and Charmilles. The auction also includes smaller manual machines, other industrial equipment such as forklifts, shelves, and work tables, as well as a huge assortment of machine tooling. 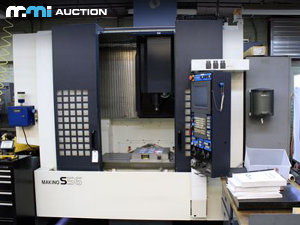 All of the machine hours, specifications, and details are available online at http://www.mmi-auction.com. MMI will be hosting the online auction through their newly redesigned auction site. Bidding has already begun on these items, and the auction is scheduled to close on Monday, July 18, 2018 at 1:00 p.m. Potential buyers are encouraged to browse the lots available and register in advance to prepare for bidding. You don’t want to wait until the last minute to be ready to bid. The entire auction catalog can be viewed here. MMI is a global leader in used machinery transactions. Buyers can easily browse through hundreds of quality used CNC machines online or talk to an experienced sales rep to find the perfect match for their needs. Sellers can get value quick through direct purchase, trade-in, or leverage MMI’s vast marketing network to get the top value on their equipment—and whatever the choice, make use of MMI’s worldwide storage, rigging, logistics, and quick appraisal services. Buying or selling, one machine or one hundred, MMI is the smart way to BUY MACHINERY and SELL MACHINERY.